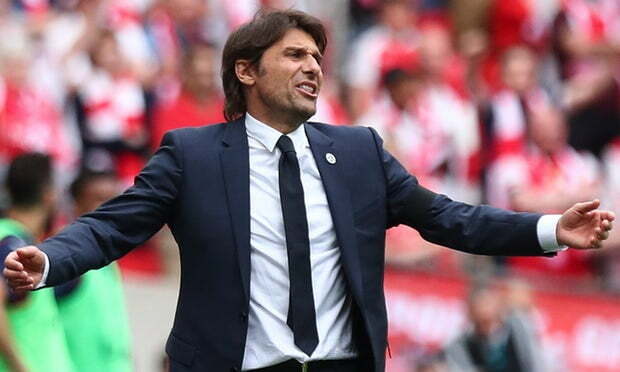 Chelsea manager, Antonio Conte, has been charged with misconduct by the Football Association, after he was sent off during their 1-0 win over Swansea City on Wednesday. Conte was dismissed by referee Neil Swarbrick in the 43rd minute of the clash at Stamford Bridge. The Italian reacted furiously to the decision not to give his side a corner and shouted in the face of fourth official, Lee Mason, as well as Swarbrick. He, however apologized after the game. “During the game, in the first half, I saw that Swansea were wasting time,” Conte said. “I said this a few times to the fourth official. “At the same time, I didn’t see something change in the first half. I was frustrated for this situation. I tried to tell again, but then the referee took this decision. “I repeat: I apologise for this. I was frustrated. For sure I made a mistake. During the game I suffer. With my players I suffer. It’s a pity. He has been given until 18:00 GMT on December 5 to respond to the charge.